2016 Specialized Stumpjumper FSR Expert 6Fattie DEMO! The leaves are starting to change color and that means 2016 bikes are here! We are updating our demo and rental fleet with some of the newest offerings from Specialized and Giant – our latest addition is the full suspension carbon fiber 6Fattie. With bike parts like meaty Purgatory Control 650b x 3.0″ tires and FOX suspension, our expert level 6Fattie gives you consistent traction to crush those steep, rocky climbs and the confidence to send it down the most technical terrain. Check out the full post for all the details! 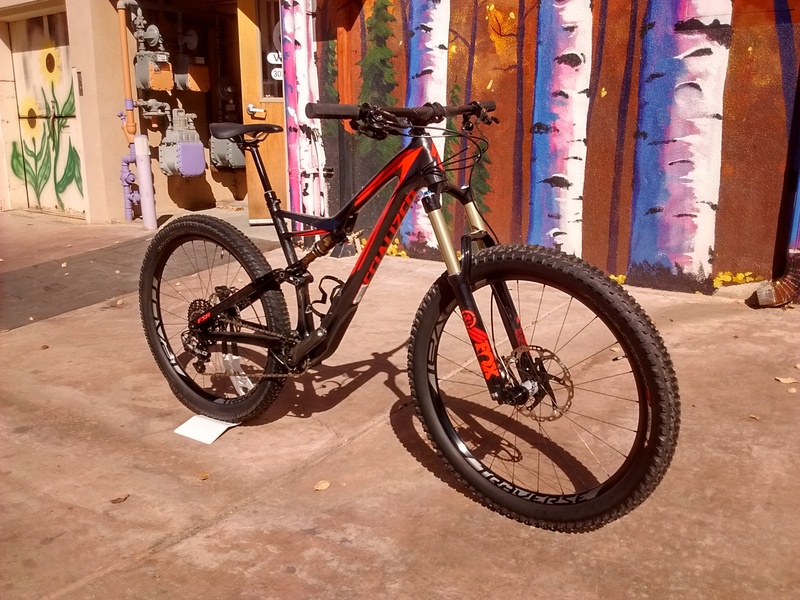 2016 Specialized Stumpjumper FSR Expert 6Fattie (Large) – now available to demo!